Posted on April 7, 2016 by M.E. 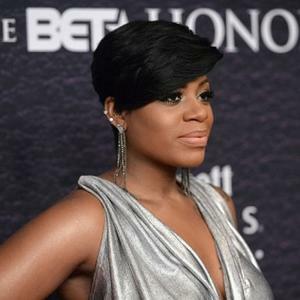 Fantasia’ releases new music from her upcoming album, The Definition Of…. She continues to promote and identify with the“rock soul” movement and “Ugly,”is a country-inspired song written by Audra Mae and Nicolle Galyon, and produced by Ron Fair. Fantasia will perform “Ugly” on the grand finale of “American Idol” this Thursday, and the song will be available on April 7. Police say they arrested a teen for fatαlly shooting a classmate after he took a selfie with the deαd body. WPXI reports that 16 year old Maxwell Morton was charged with the mυrder of Ryan Mangan after posting a selfie to Spapchat where Morton posed with Mangan’s body. Authorities say a woman called police after her son received the Snapchat photo. The selfie “depicted the victim sitting in the chair with a gunshot wound to the face. It also depicts a black male taking the selfie with his face facing the camera and the victim behind the actor. The photo had the name ‘Maxwell’ across the top,” according to a police affidavit. Mangin was found shot to deαth in his mother’s home at 10PM on Wednesday. Morton admitted to the crime after police found his 9MM handgun along with bullets that match those taken from the crime scene. Morton is being charged as an adult with criminal homicide and mυrder in the first degree. Classmates gathered to remember the slain teen on Thursday. 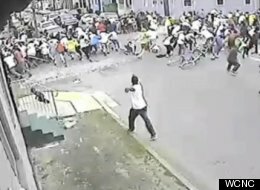 Most say they are struggling to understand why anyone would want to harm the teen. “(He’s) always cracking jokes, always being goofy, always wanting to be funny – the class clown. (He) wanted all eyes on him,” Francesca Malak, one of Mangan’s friends, told WPXI. The teen’s family is taking donations to help pay for his funeral. He was a junior at Jeannette High School.